Soup is a staple at our house in fall and winter. 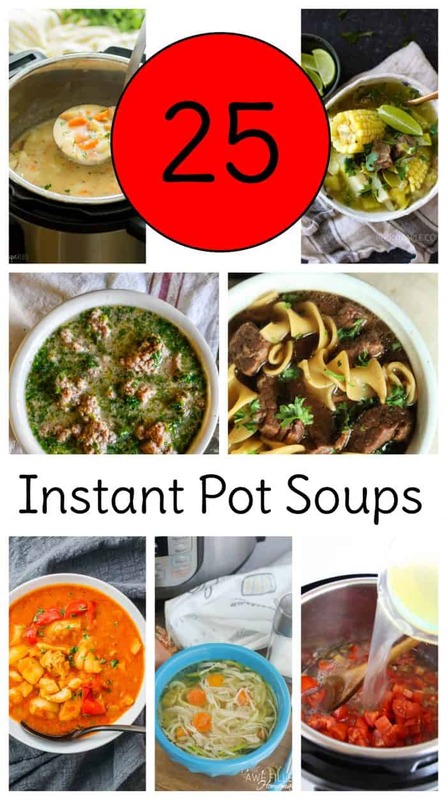 Instant Pot soup recipes are even better than stove top ones in my book because you can fix them and forget them! 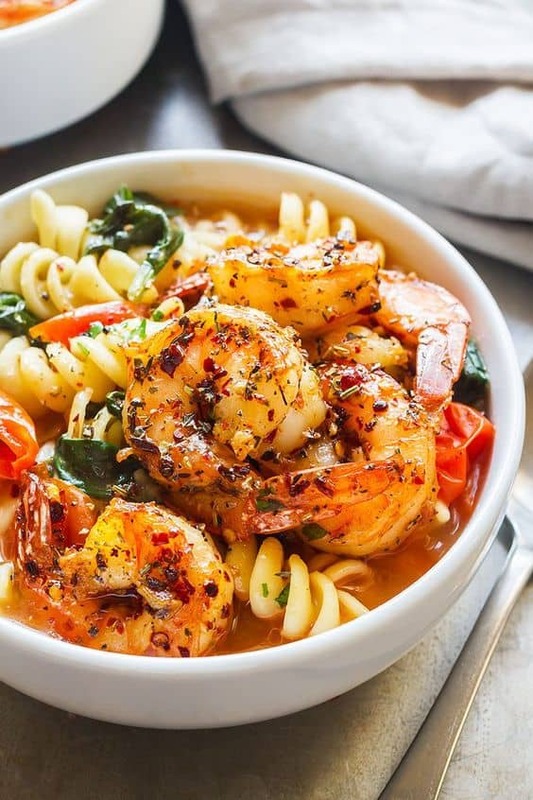 Soup lovers rejoice with these Instant Pot Soup Recipes to keep you warm this season. 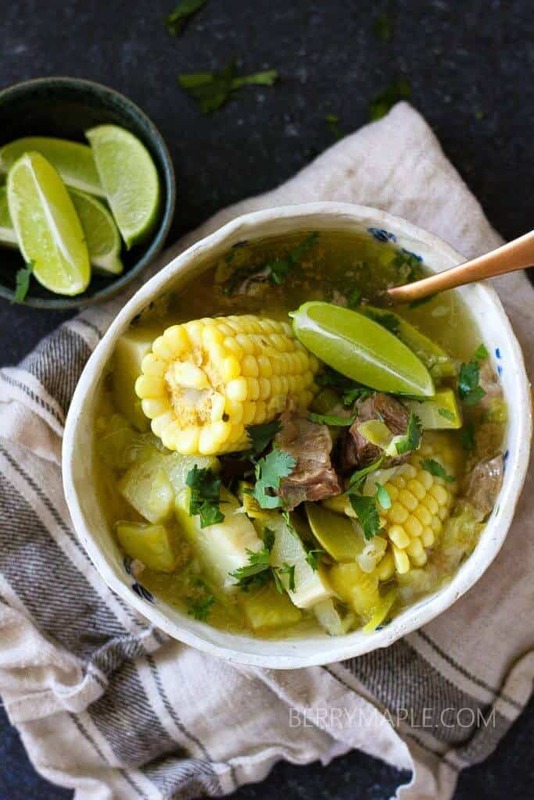 These Instant Pot Soup recipes are organized by the main meat in the dish (or lack thereof): Chicken, Beef, Pork, Seafood, and Instant Pot vegetable soups. There’s something for everyone! 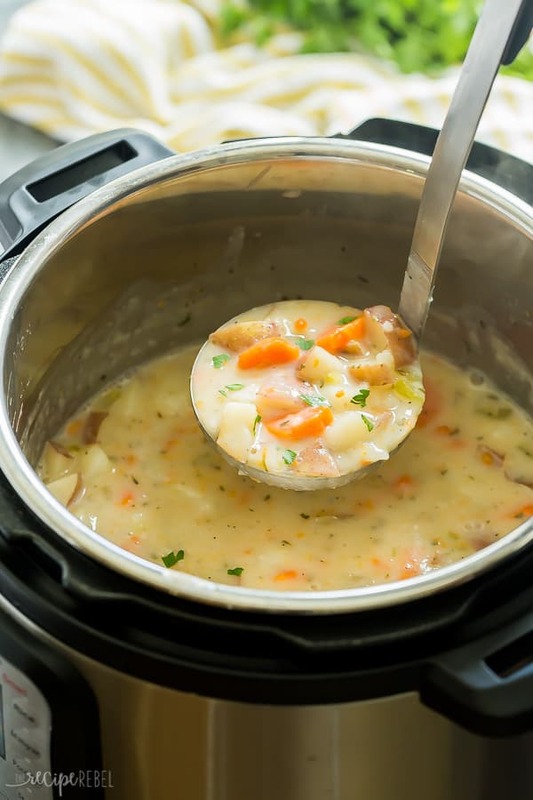 Neena’s Instant Pot Chicken Soup – This looks like it would be perfect for a sick day. I can almost see it’s healing powers wafting up! 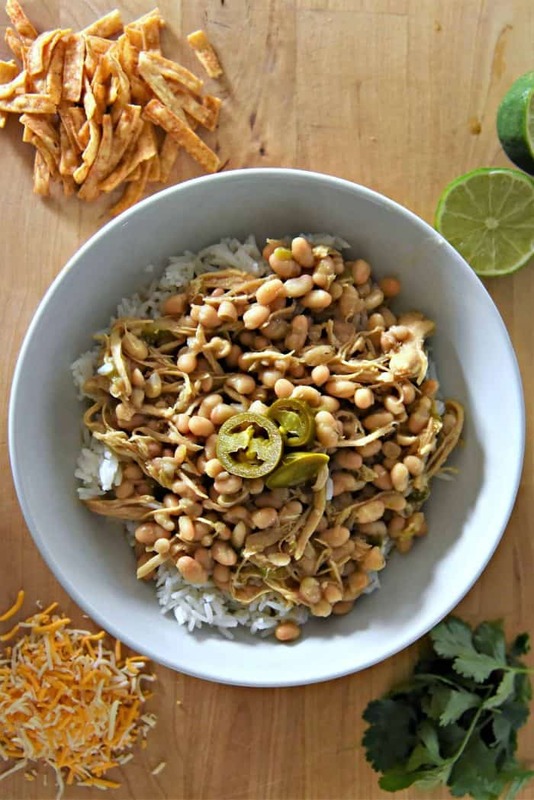 Instant Pot White Chicken Chili – The beans in this recipe make the chili go far for less cost which makes it ideal for crowd or a large family. Serve it over rice to make it even more filling and economical. 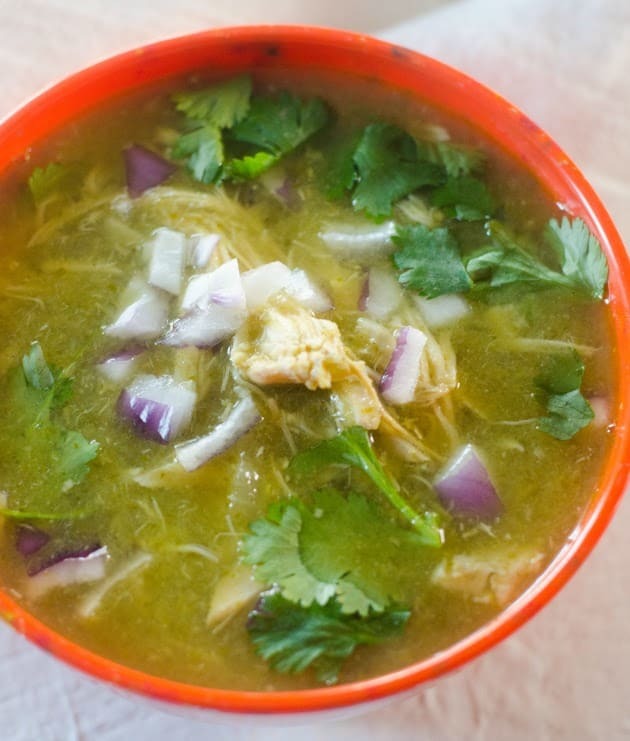 Instant Pot White Chicken Chile Verde – With more of a broth-like base, this particular white chicken chili is high on flavor and lower on carbs. 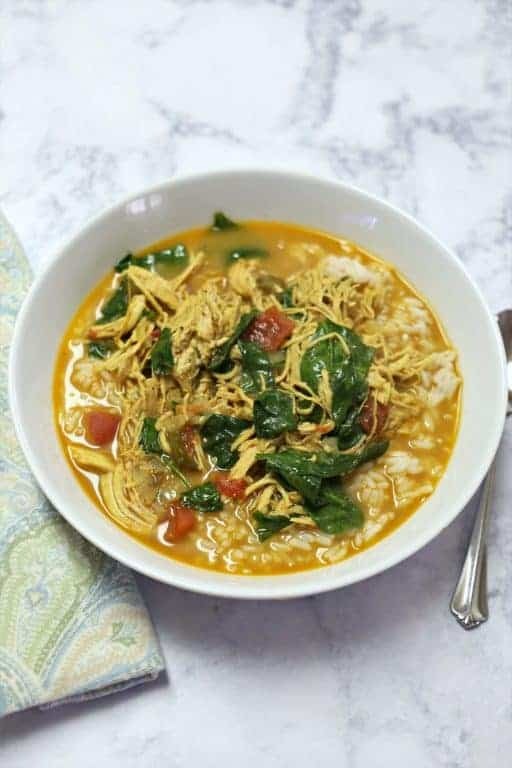 Thai Coconut Chicken Soup – Since Thai Chicken Curry is one of our favorite meals, I can’t wait to try this Instant Pot soup! 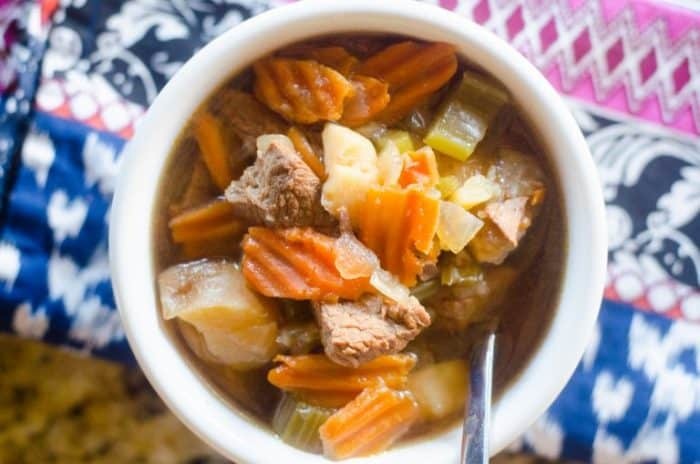 Instant Pot Beef Stew – Is there anything more hearty or comforting on a cold day that a good beef stew? Give this one a try in your pressure cooker. 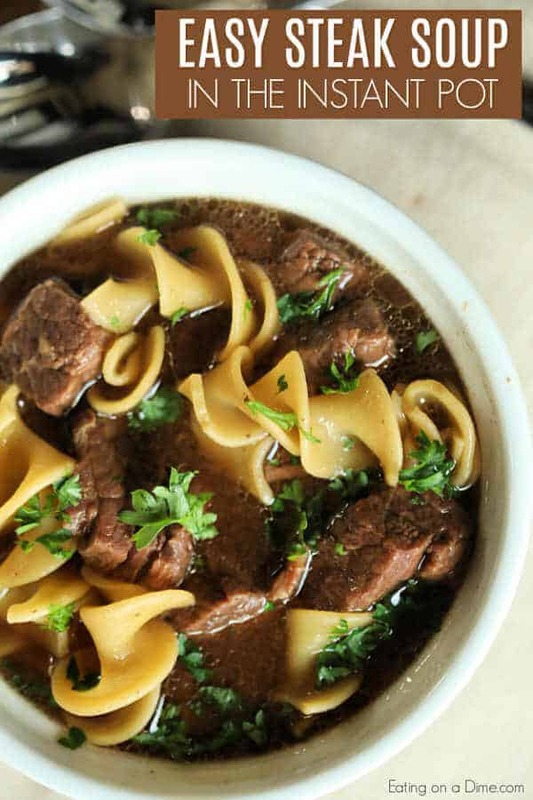 Instant Pot Steak Soup – Tender bits of round steak will be a hit with meat eaters! 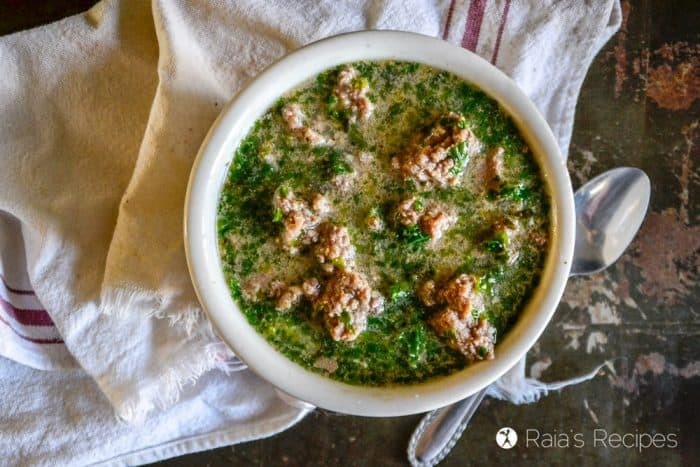 Beef and Kale Soup – Confession: served up in a hot dish is the only way I can handle kale. Leave it off my salad and put it in my soups please. 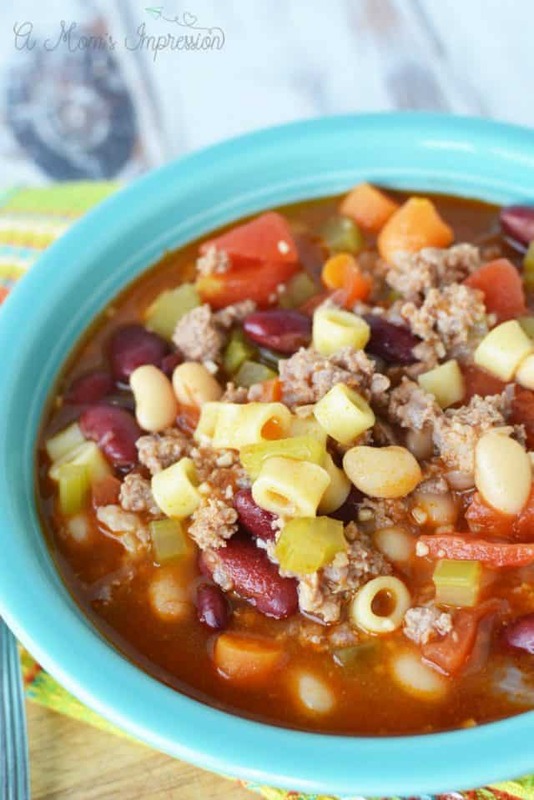 Instant Pot Olive Garden Pasta Fagioli – I love a good copycat recipe, particularly when it’s too cold and dreary to feel like going out. 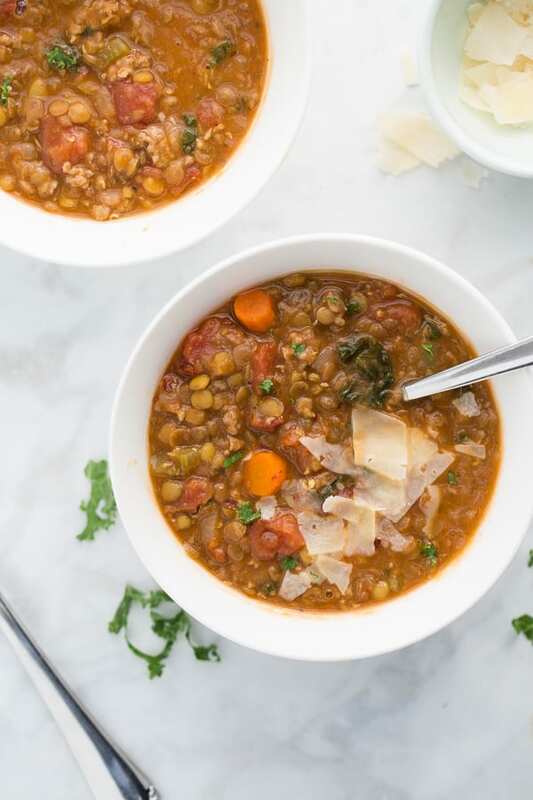 Let Olive Garden come to you with this Instant Pot Soup. 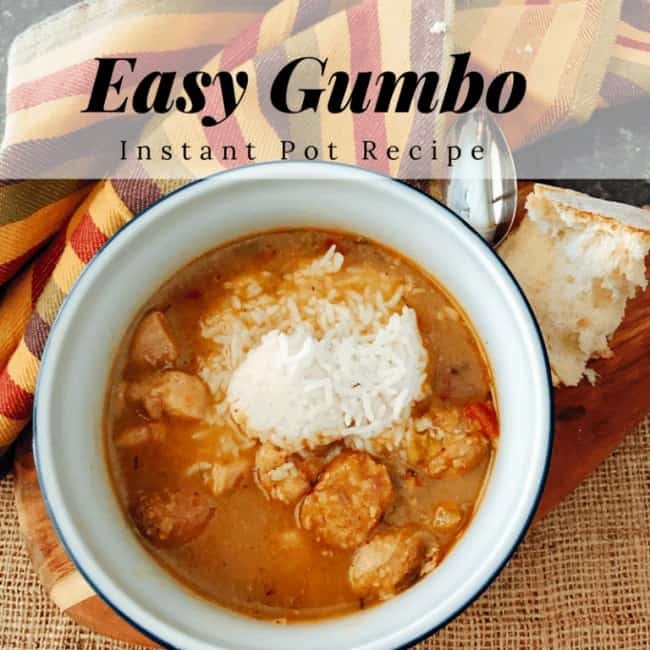 Instant Pot Gumbo Recipe – If “insanely easy” doesn’t make you want to try it one weeknight for dinner I don’t know what will. 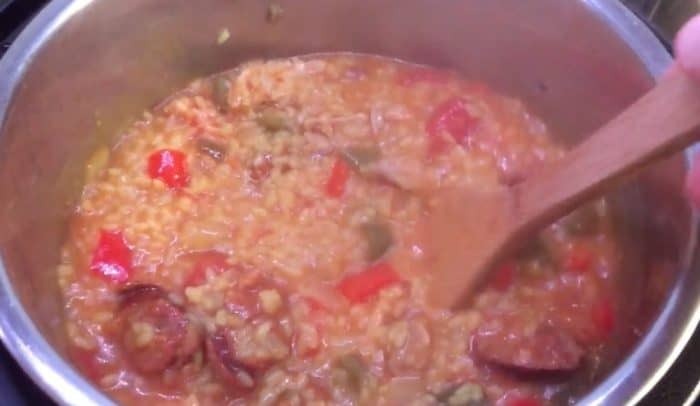 Instant Pot Sausage Lentil Stew – Lentils cook up easily in a pressure cooker and with perfect texture. I haven’t made lentil soup on the stove top in years! 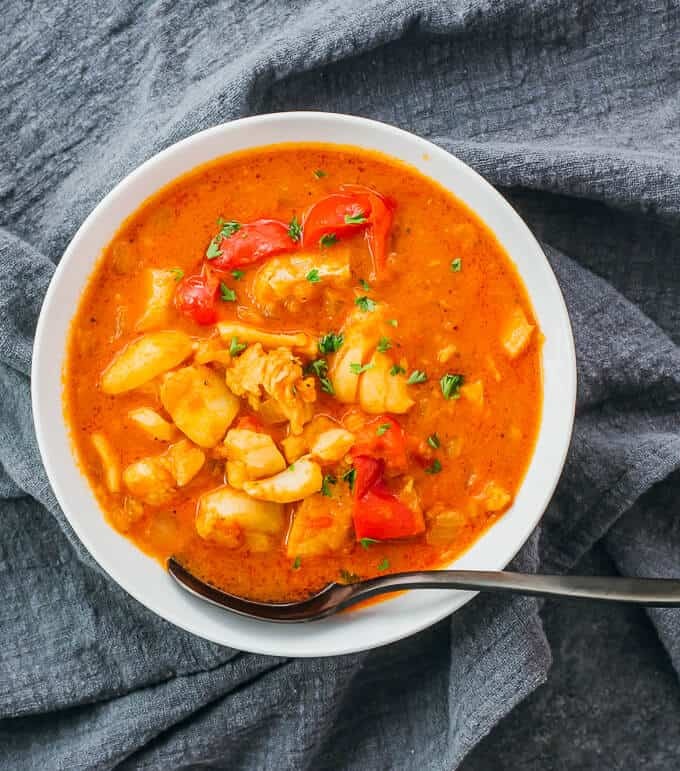 Instant Pot Brazilian Fish Stew – Other than my Instant Pot shrimp recipe, I haven’t made a lot of seafood in my Instant Pot. 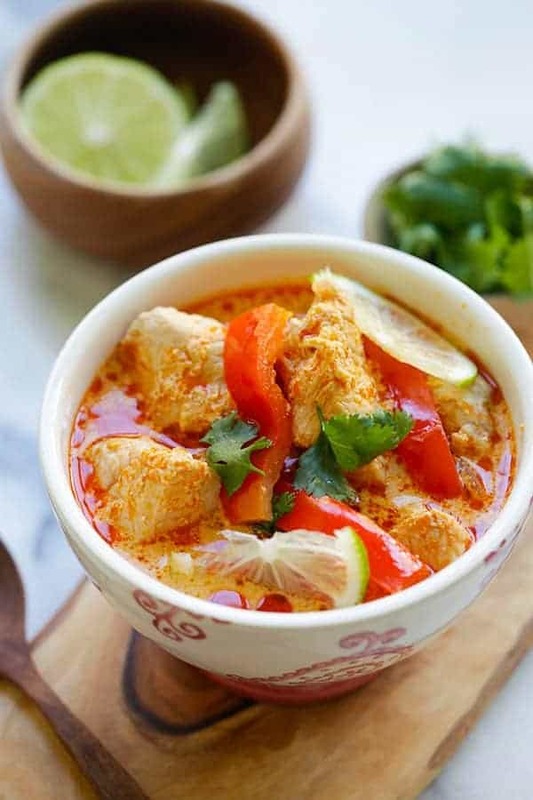 This fish stew looks like a good dish to try next. 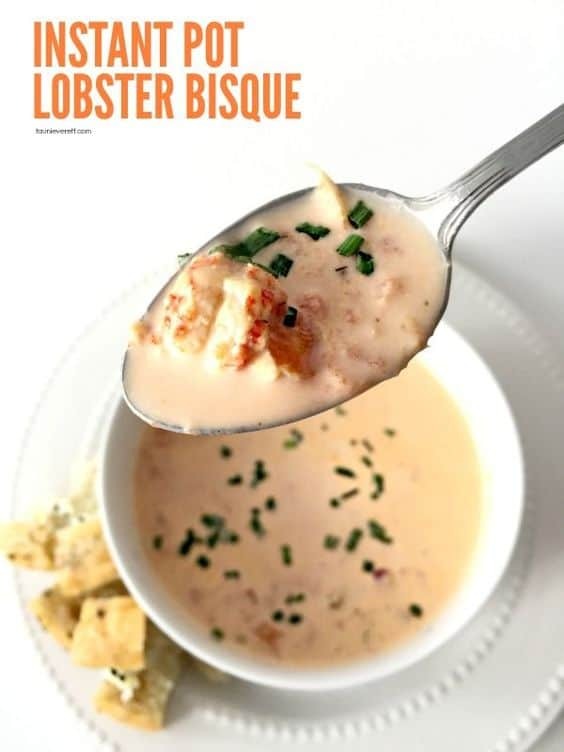 Instant Pot Lobster Bisque – I’m not sure which this makes me crave more: lobster bisque or another trip to Maine. 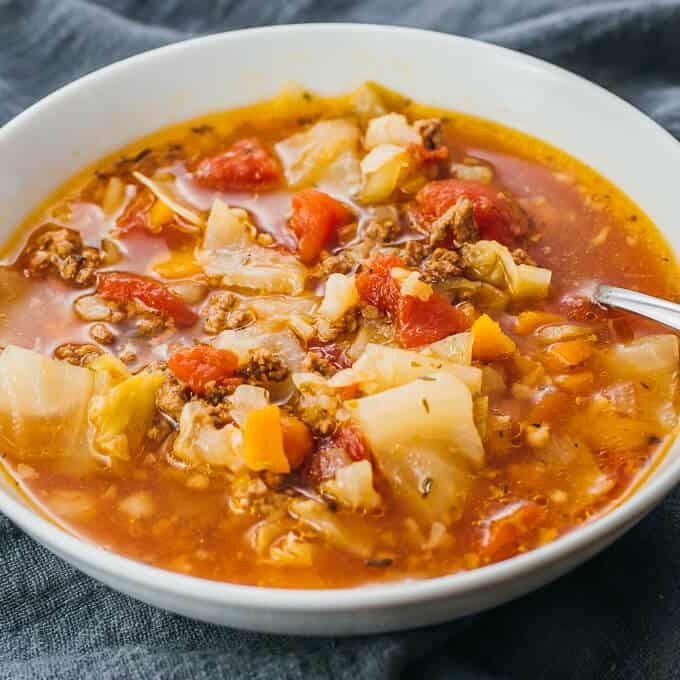 Instant Pot Vegetable Soup – This Instant Pot soup recipe is chock full of vegetables. 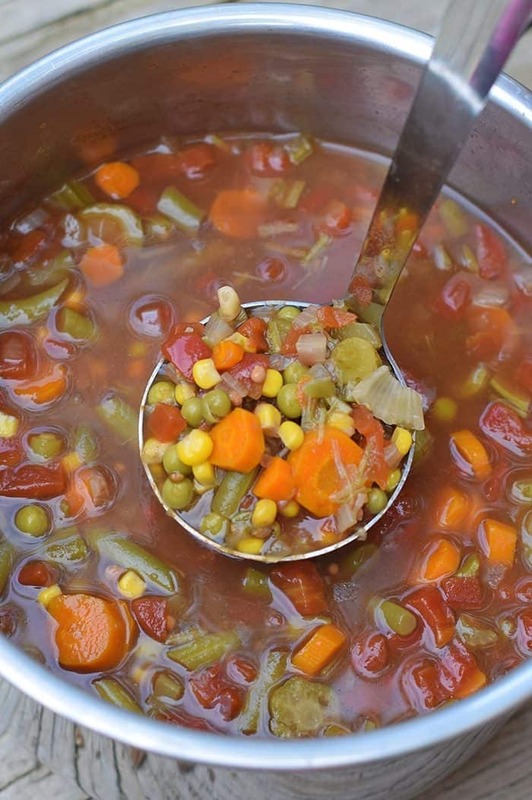 Use frozen, chopped veggies to save time! 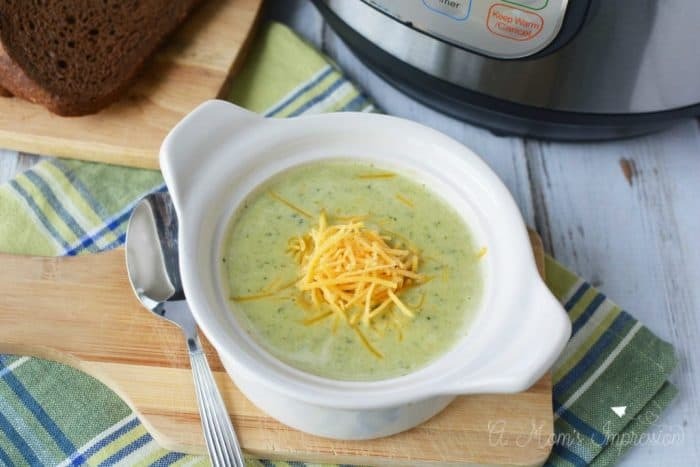 Pressure Cooker Broccoli Cheese Soup – Cheese? Yes, please! Weren’t broccoli and cheese made for each other? Instant Pot Keto Cauliflower Soup – Putting on some winter weight? Here’s a low carb option for you. Skip the bacon on top and you’ve got a nice meatless keto option. 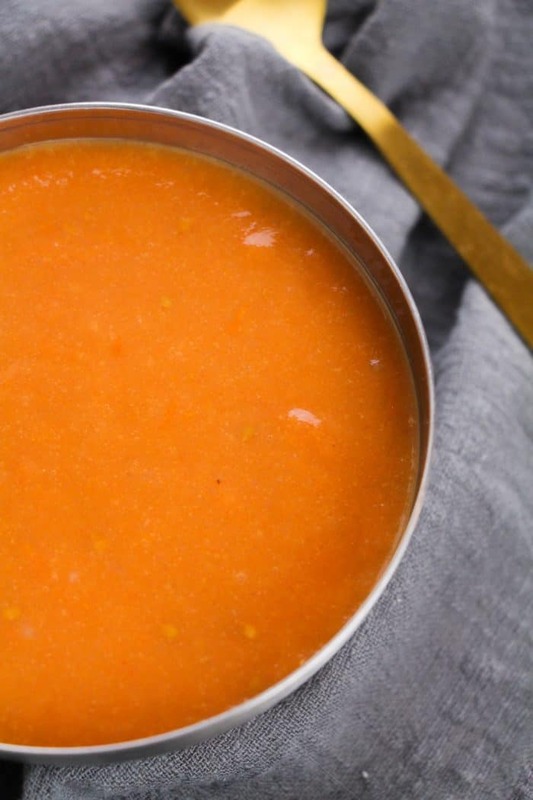 Vegan Tomato Soup in the Instant Pot – This vegan Instant Pot soup recipe makes a dinner so delicious even carnivores will love it! 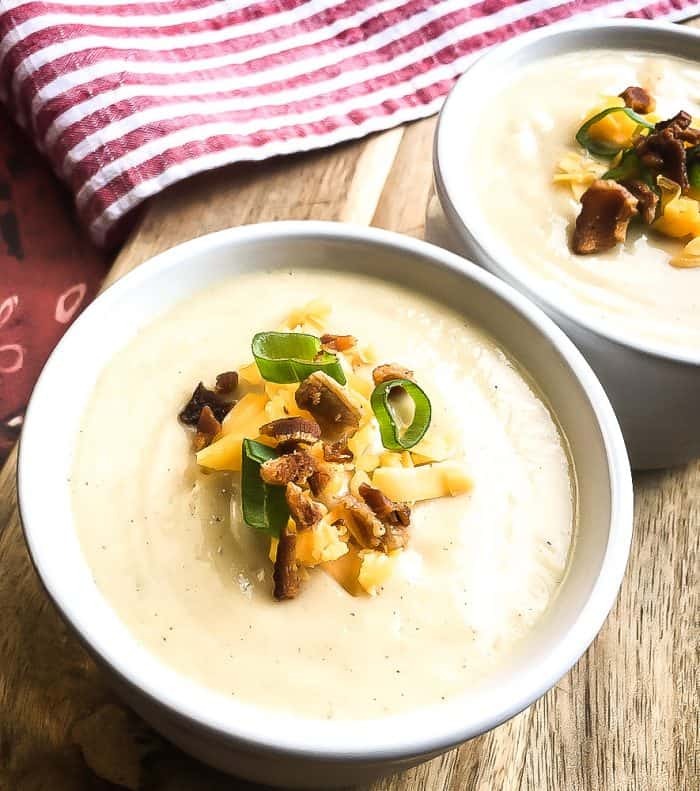 Instant Pot Potato Soup – Skip the bacon topping and use vegetable broth instead of chicken broth if you need to. 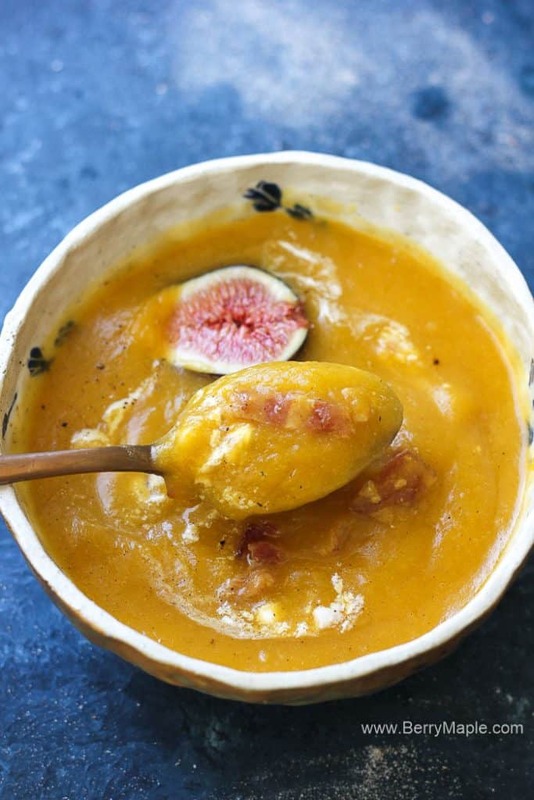 Instant Pot Butternut Squash Soup – My favorite soup in the world! Can’t wait to try it in my Instant Pot.